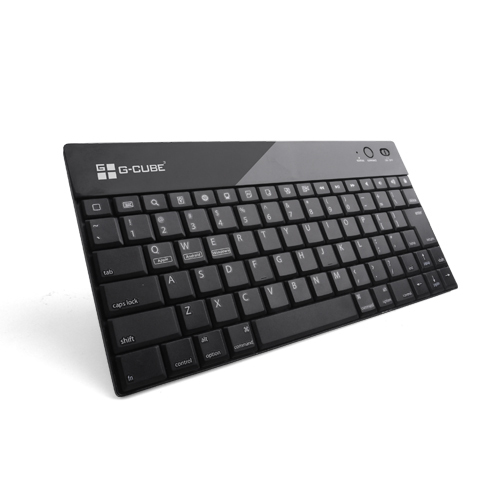 The Newest Addition of G-CUBE Bluetooth Keyboard with Simple & Elegant Design. 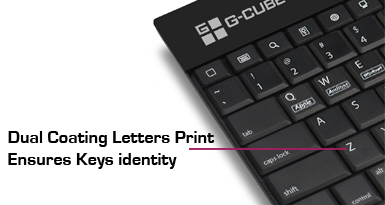 Ultra Slim Keycap Structure provides comforable typing & dual coating letters ensures identity. 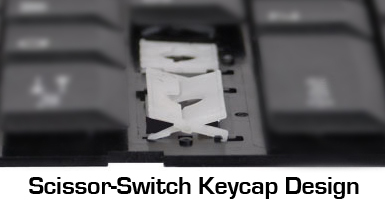 Now it is time to update your Keyboard. 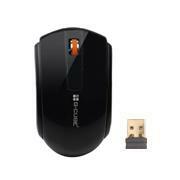 Bluetooth v3.0 data transfer rate can reach up to 24 Mbit/sec., whereas Bluetooth v2.0 is only 3Mbit/sec. 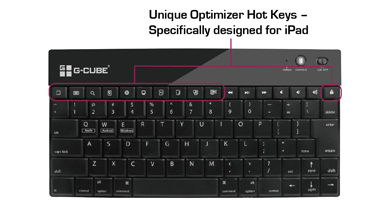 Hot Keys including most-often used functions on iPad such as back to home page, go to my pictures, switch between input languages, select, copy, paste, etc. 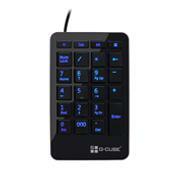 These hot keys allows you to process the functions directly on the keyboard without touching iPad screen back and forth. 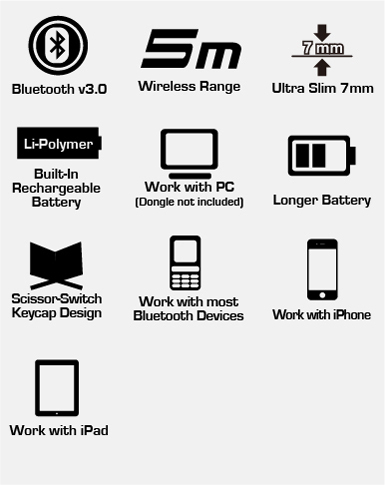 With Smart Power Management Technology, Bluetooth enables less power consumption and longer battery life usage. 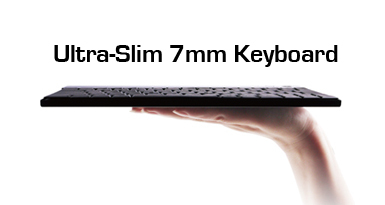 Provides better typing experience & more durable keycaps. Fits anywhere in your bag or tablet sleeve. Would be great with raspberry Pi 3 but it seems to go to sleep very quickly and takes its time to wake up. It is very frustrating and difficult to use. Use 0000 for code There are no function keys. Tried using Fn key. Didn't work. like teacher local, I too am having difficulty sinking up with Bluetooth and I get a message for a pin code Which I don't have. what do I do? 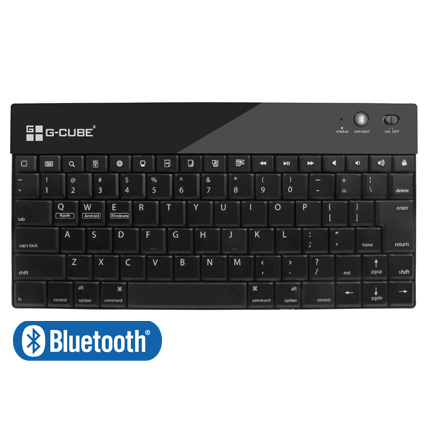 I loved my mini keyboard until I changed tablets and when I try to connect it with bluetooth to the new tablet, it asks for a pin number. Why should it have to have a pin. Who would keep up with that after having it for a couple of years? Is there a generic pin? HOW CAM I USE THE ACCENTS!!! IT IS ESSENTIAL TO ME!!! WE USE ACCENTS IN ARGENTINA!!! How the hell do you charge these KB's? 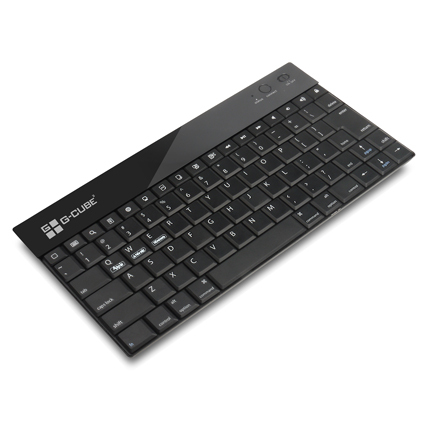 the ESC key missing is the only problem for me... can you help me? 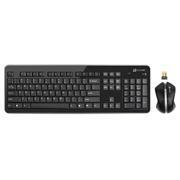 A solid metal base gives the keyboard just the right weight and the sissors keycap system makes typing as comfortable as with any larger keyboard. 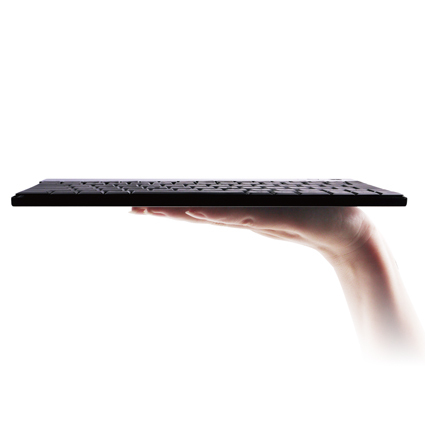 Pairing with an iPad works like a charm and the specialized function keys add usability specially for those with a damaged home button on their iDevice.